Billy Edwards has been the pastor at Brazos since 1992. Before that, he was a teacher and coach, and later owned a hardware store. He married Theresa Wall on June 24, 1978, and they have 2 wonderful daughters. Brooke and husband, Michael Williams live in Vernon Texas, where she is a Clinical Psychologist at the North Texas State Hospital. 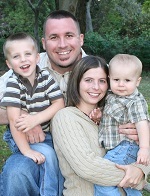 Brittany and husband Rob Dubois, and children, Rylee and Ryder live in the Lorena, Texas area. She is the Parents Day Out Director for Brazos Meadows. Billy graduated from Baylor in 1978 and received his Master's degree from Southwestern Seminary in 1996. He and Theresa are absolutely bonkers over their grandchildren Rylee and Ryder. Billy's favorite food? Mexican, of course. Scott Rhodes is the Minister of Students/Education. He grew up in the Houston area, and married Kristin Sawyer on February 18, 1995. Scott and Kris have two adorable boys, Jonathan age 16 and Jeremiah age 14. Scott received his Bachelor's degree from Baylor in 1985 and his Master's from Baylor in 1993. He has experience as a Christian camp administrator and a high school teacher. 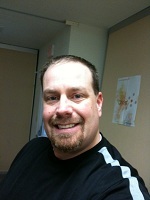 Scott joined BMBC in 1988 and became part of the BMBC ministry staff in 1995. Scott's favorite food? CHOCOLATE! Paul Miller has been the Worship Minister at Brazos since 2005. 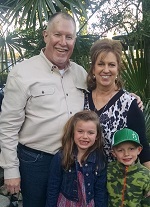 Paul and his wife (and worship leading partner), Deana, were married and joined BMBC in 2001. They have 2 precious boys – Daniel and Isaac. Daniel is a first grader at Lorena. Paul has an Associate’s Commercial Music Degree from MCC and a BA in Communication & Religion from Baylor University. Along with a passion for leading others in worship, Paul enjoys mountain biking with his family and extreme rock-crawling in his '67 Bronco. Paul’s favorite food is chips and salsa (and homemade ice cream)! Our Children's Ministry is currently under the leadership of an oversight team of lay volunteers. More info to come. Laurie Jones has served Brazos as the Administrative Assistant since 2007. She and husband Gene Jones have 3 children: Cody and wife Brandy, Colton, and wife Allison, and Savana Grace currently attends Lorena High School. Laurie loves to watch TV. Her favorite food? Grilled Chicken and Gene's Sugar Free Banana Pudding. Gwen Tenberg is the Financial Secretary for Brazos Meadows. She is new to the position but not new to the church. Gwen is married Paul. Gwen loves ministry. She is involved with Meals On Wheels, outreach to the homeless, and several ministries here at BMBC. Gwen's favorite food is Mexican! Blake Padgett is the Youth Ministry Intern at Brazos Meadows. Blake graduated from Midway High School (where many of our youth attend). He also has taken classes from McLennan Community College, Central Texas College, and Baylor University. Blake has several years of ministry with Brazos Meadows, Hilltop Christian Fellowship, and Mt. Calm Baptist Church. Blake's favorite food is anything he cooks on his grill.